Acacia is handcrafted by artisans from a solid piece of timber which has no joints and will not split. It is plantation grown and harvested so its manufacturing processes are sustainable and environmentally friendly. • Hospitality―with a vast range of type, size, and shape, the range is well suited to the hospitality industry. • Customisation―this beautiful high-quality timber can stand on its own or can be engraved and etched to personalise. • Personal home use―from cheeseboards to bowls, these pieces are as beautiful as they are practical. 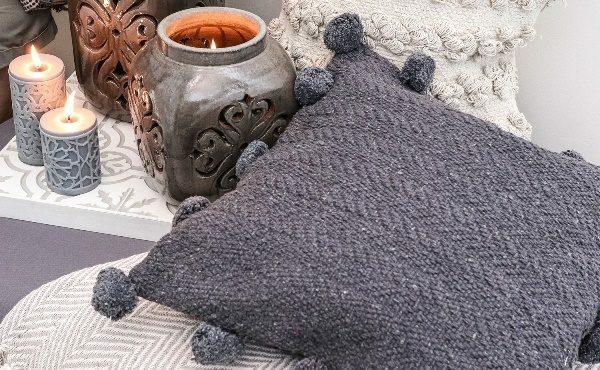 Darlin’s textile range is a beautiful and unique mixture of classic and contemporary designs softened with natural textures and finishes. The collections are curated with the customer in mind with every piece is carefully selected to emulate a feeling of homeliness balanced with sophistication. Capiz has been one of Darlin’s top selling categories for years. Each piece is carefully designed and produced to be unique, elegant, and of the highest quality. Capiz products are all artisan made by hand from recycled and re-purposed shells. These shells are shed as a part of the growing process of a sea mollusc. The company’s driftwood products are all uniquely designed and artisan crafted by hand. Each piece is unique because Darlin uses real driftwood naturally conditioned by the sun and sea―no nasty chemicals or artificial pieces. Because the driftwood is authentic and recycled, it makes the manufacturing process environmentally friendly and sustainable. See the latest ranges from Darlin at Stand DX11 at AGHA Sydney Gift Fair, 23-26 February 2019.